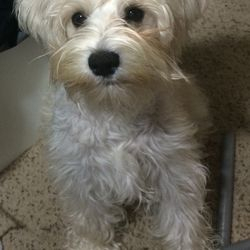 CKV Schnauzers is the result of our family's love affair with Miniature Schnauzers. 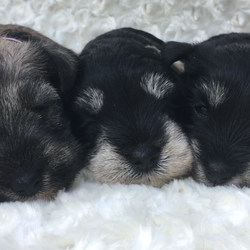 We started out several years ago with a trio of quality Miniature Schnauzers and have since expanded from there! We now also raise Goldendoodles! We are located in central Texas, in a small town called Lampasas. We strive to produce quality family pets. We breed for health, temperament, and beauty in exactly that order. Our main goal is to provide a healthy, loving, and loyal family pet that will remain with that family for that dogs lifetime. Our puppies have made a difference in so many families lives and we could not be more pleased. We have made some great friends along the way and nothing delights us more than an update or photo from one of our “extended families”! We keep in touch with almost every family that have gotten one of our puppies, even some from 5 years ago! It's impossible to post every picture or testimonial we have received, but there are several on our "Previous Puppies" tab! Our dogs come first, always. We do not view them as property or "money makers", they are our family and their well being is our #1 priority. While we do live on an acre with a huge backyard and plenty of space to run and play, none of our spoiled brats have ever spent a night outside, rather they take up space in our beds! When our girls get too old to breed or our vet recommends us to retire them, we do. And they stay in our family for the rest of their life! Our dogs and our litters are fed Blue Wilderness dog food, and our momma's (and seniors) are given raw eggs over their kibble and often substituted with homemade chicken and rice. We put in just as much energy and love into the puppies we raise. None of our girls have ever been in labor without one of us being there, helping and making sure all is well with momma and every baby. 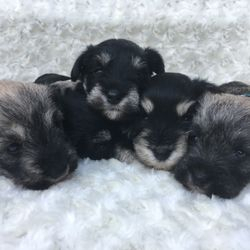 They are handled every day from the moment they are born to the day they go to their new family! All of our puppies come pre-spoiled, and above that we make sure they are socialized as much as possible! 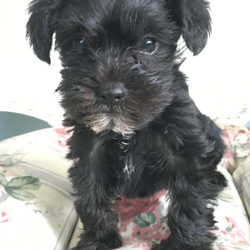 The first 8 weeks of a puppy's life is extremely important when it comes to their relationship with humans and how they will interact with the world. 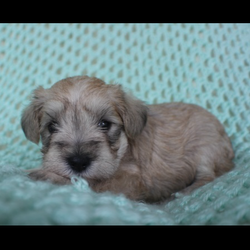 Schnauzers are especially susceptible to being born shy or anti-social, which is why we put in so much time and effort getting them used to absolutely everything before they go home! By 4 weeks old our puppies are already being exposed to the outdoors (even if it's just on our back porch), are starting to be taken outside to potty, are starting to play with our other dogs, and are usually already following us around! 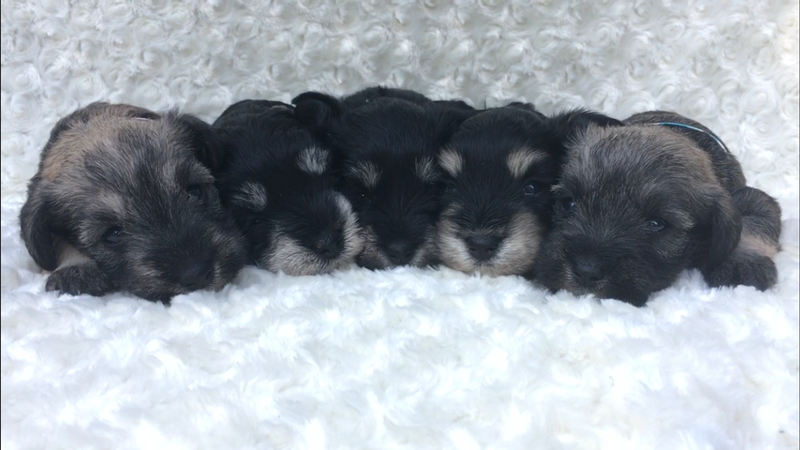 Our schnauzer puppies go to the vet at 2 days old for their first exam and to have their tails docked and dew claws removed. Our Goldendoodles keep their tails of course, but we do remove the dew claws to prevent injuries in their future. At 6 weeks old our litters are taken to the vet for their thorough check-up and first shots. We will provide you with your puppy's medical records and a copy of the receipt from the appointment along with our vet's contact info. Please take the time to do your research and understand that this is a lifetime commitment! We invite you to browse our website and if you have any questions please contact us. 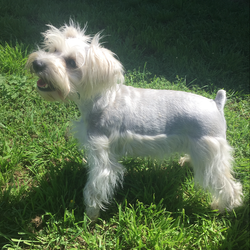 We will be happy to provide information about the breeds that we offer and answer any questions you may have. 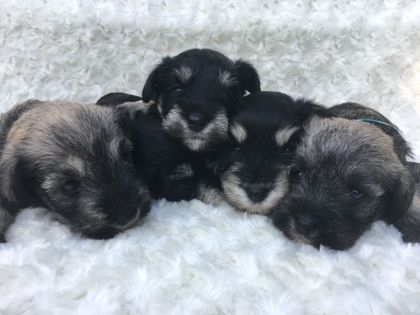 Click HERE to see our current puppies.